Possibly in attempt to expand up on its "we're not really a PC company" strategy, Dell has acquired Wyse for an undisclosed amount. Based in San Jose, Wyse has long specialized in thin-clients, offering vertically integrated, centralized computing solutions for organizations of all sizes. Dell, who is narrowing its focus on corporate customers, may benefit from Wyse's expertise in different areas of the business computing market. Additionally, Dell may have its sights set on the cloud, referring to Wyse as a "cloud client" leader. 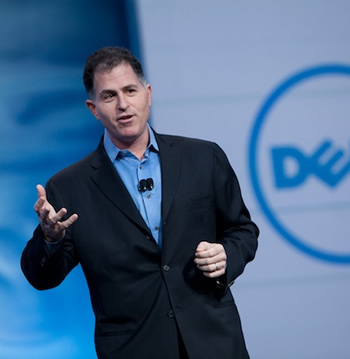 Dell's purchase will net it an enterprise-focused company who has roughly 500 employees, 180+ patents and is valued at approximately $350 million. Half of those employees are sales specialists while 140 of those human resources are software engineers. Wyse boasts it has shipped over 20 million units and claims its products are used daily by almost 3 percent of the world's human population, or 200 million people. In more recent years, Wyse has been expanding its thin-client strategy to include cloud-based management tools and virtualization, possibly throwing Dell into the same market segment which includes the likes of Citrix and VMWare. If you couple Wyse's experience in centralized computing with Dell's reach and ability to churn out inexpensive computers, the acquisition sounds synergistic. Dell's press release includes a comment by Matt Eastwood, a group V.P. of enterprise platform research at IDC, where he notes the firm expects to see strong and continued growth in desktop virtualization solutions. Naturally, the sales of desktop virtualization solutions are also expected to drive growth in the sales of data centers, servers, networking equipment and enterprise-level services.